Included below are Mammoth Lakes meadow area and Mammoth Creek condos for sale, updated daily from the Mammoth Lakes MLS. 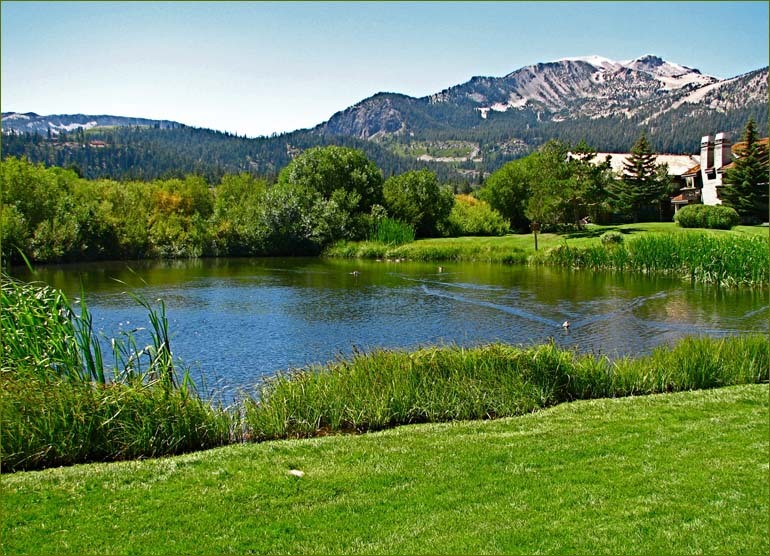 The Snowcreek meadow is considered one of the most desirable areas in Mammoth Lakes. The meadow preserve that backs to Snowcreek phases 1-3 can never be built on. This peaceful setting creates a high demand for rental visitors for Snowcreek condos in this area and adjacent developments. The Snowcreek Meadow Preserve offers meandering trails, creeks, wildlife, and abundant flora and fauna in the spring and summer months. The condo developments that are located in this area tend to rent very well year-round because of the views, scenery, flatter terrain and convenient shuttle bus access year-round. If you would like more information on any of these Mammoth Lakes meadow area and Mammoth Creek condos for sale, just click the "Request More Information" button when viewing the details of a listing. We can provide you with disclosures, past sales history, dates and prices of homes and condos recently sold nearby, and more. And, for your convenience, be sure to register for a free account to automatically receive email listing alerts whenever new Mammoth Lakes meadow area and Mammoth Creek condos come on the market that match your specific search criteria.